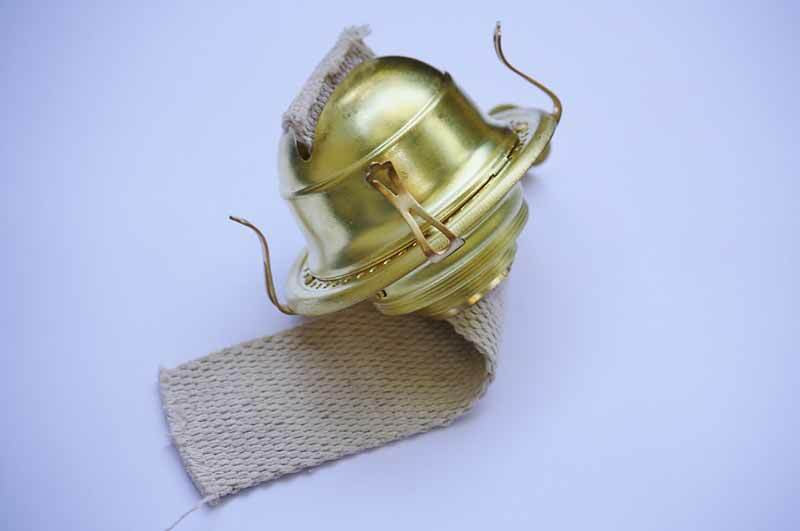 Replacement oil lamp burners for old fashioned oil lamps and hanging oil lanterns. 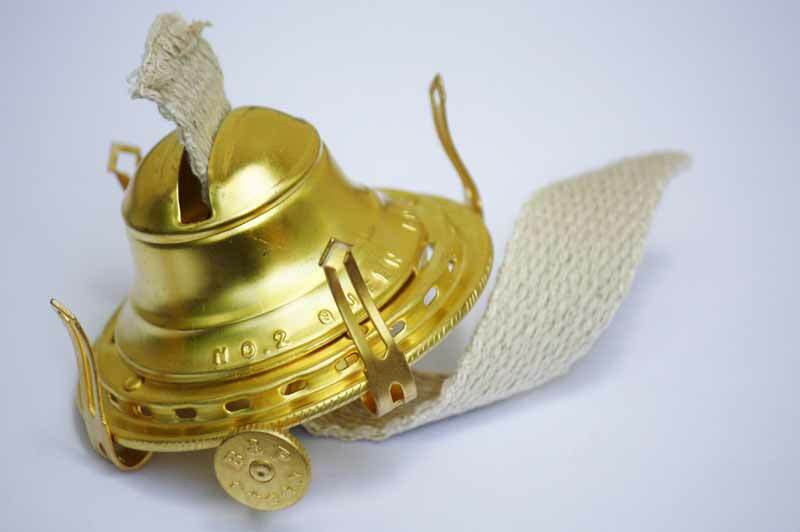 We are proud to offer burners built with heavy solid brass that have no steel metal to oxidize and rust. These choice replicas are made with the same style and quality of old Queen Anne. Built like they were generations ago when workers took pride in their craft. 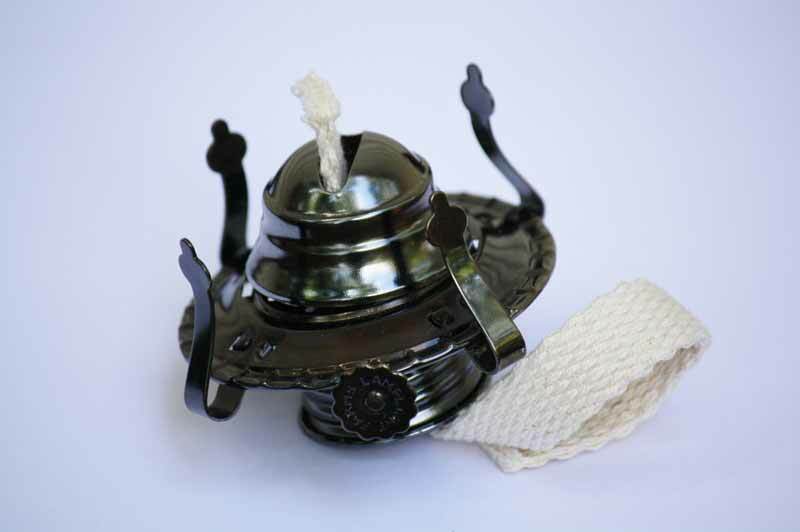 We carry #0, #1, #2, and #3 kerosene lamp burners. 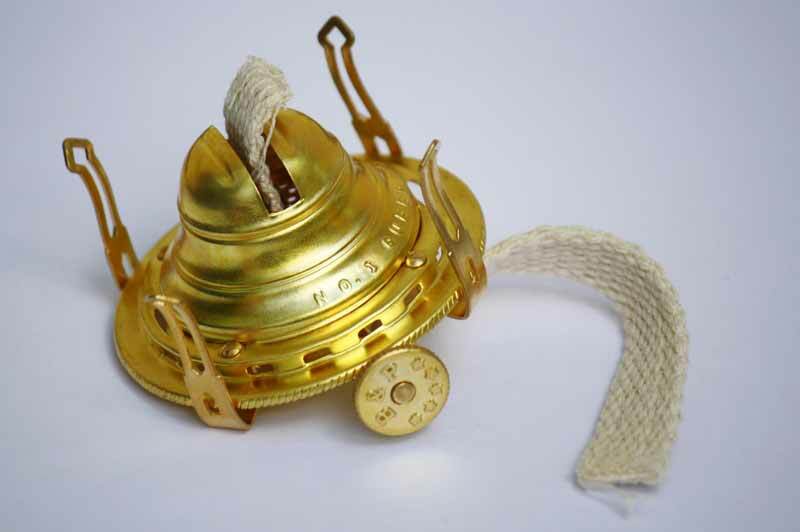 More affordable oil lamp burners are brass plated; also in stock and ready to ship. Looking for a lantern burner? 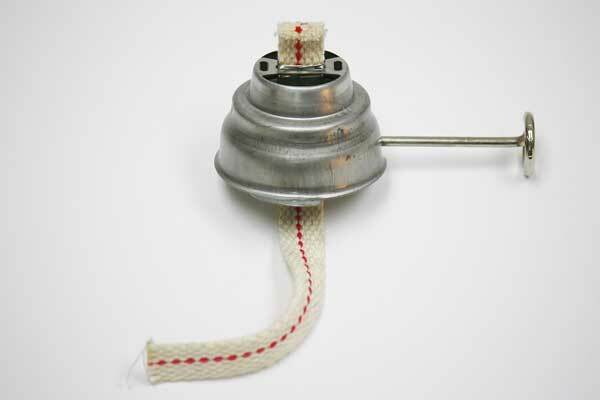 We carry a line of unfinished steel lantern burners for Dietz oil lanterns. 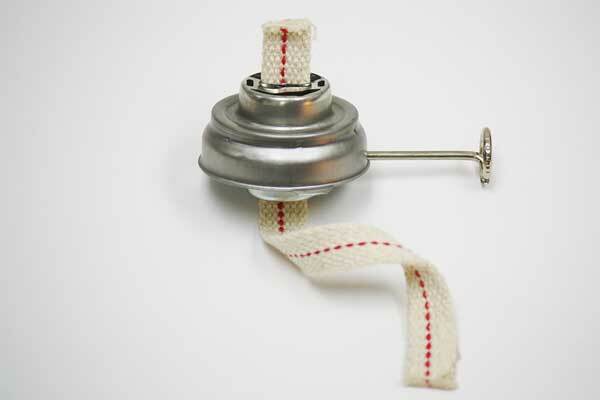 These burners may fit other oil lantern models and manufacturers. 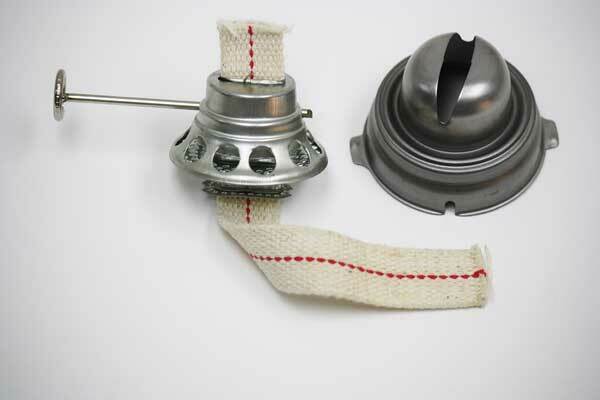 See burners below and refer to charts - Dietz lantern parts and V&O lantern parts - to determine burner measurements. 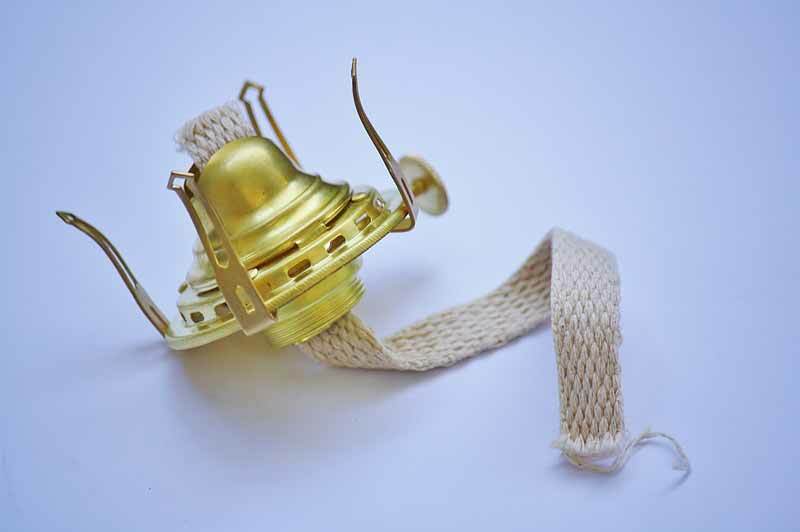 The most important thing to remember when choosing a burner for your lantern is that the burner and lamp collar fit together. A loose or ill-fitting burner is a fire hazard. 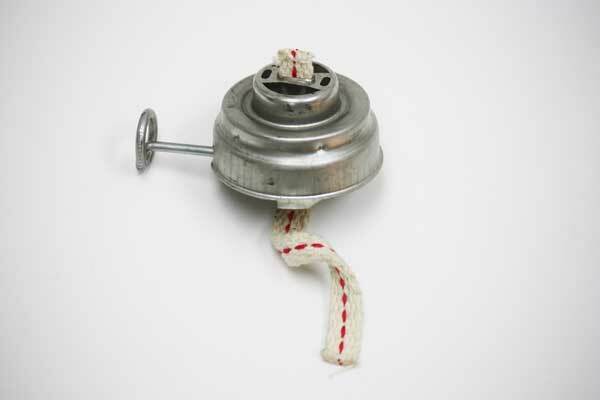 Be sure to test the fit of your burner before adding any oil to the lamp. Screw the burner down until it is tight on the lamp. 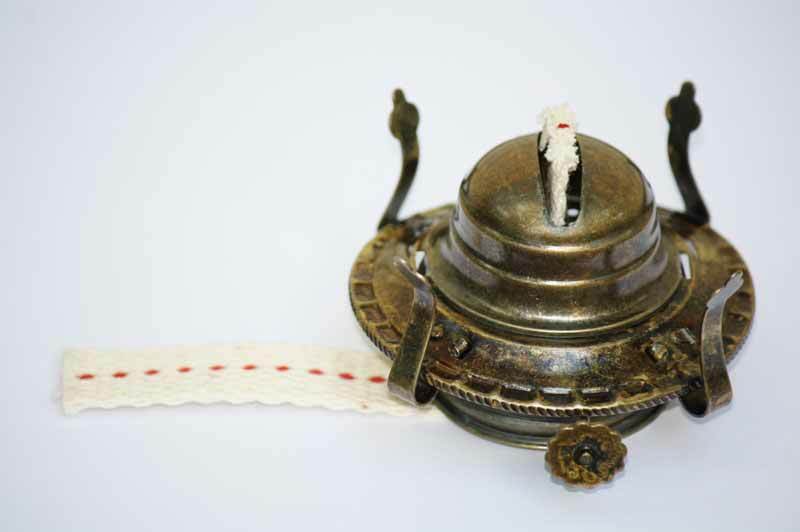 It should thread smoothly and fit snugly on to the lamp collar. If it wiggles or wobbles, your burner does not fit. 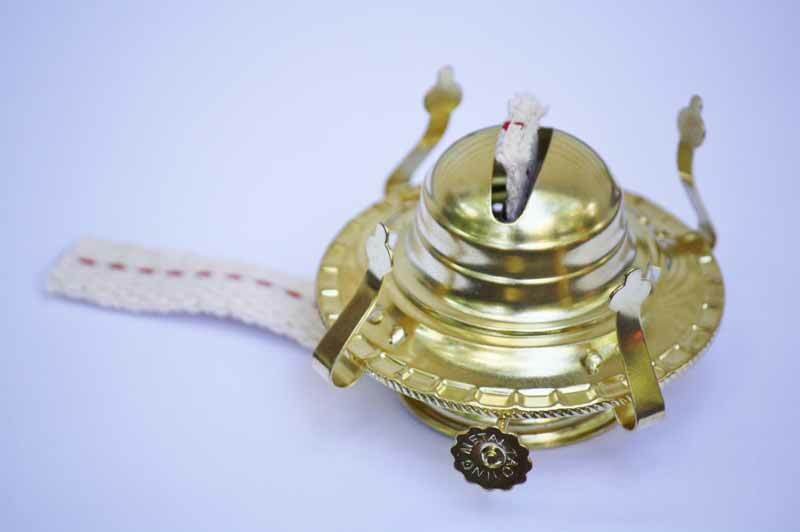 If you are unsure about what size burner you need, simply measure the inside diameter of the collar opening. Click here for collars. Click here for burners. 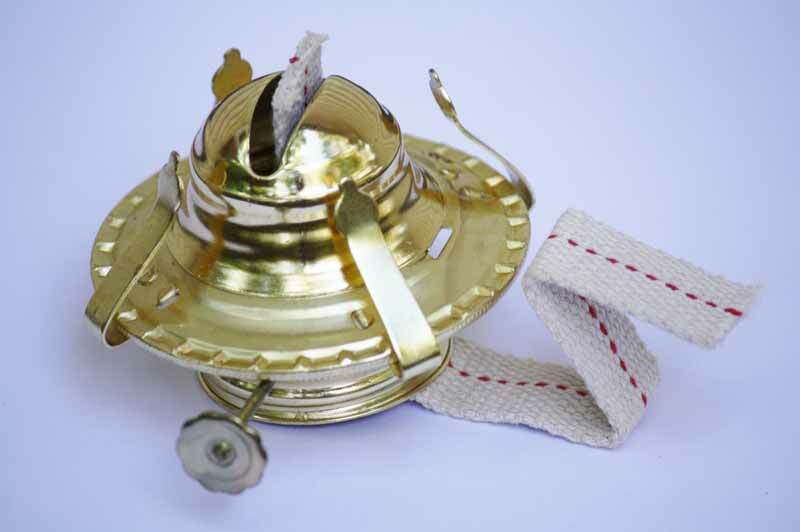 Keeping the burner vent holes clean is the most important maintenance step for any oil lamp or lantern. 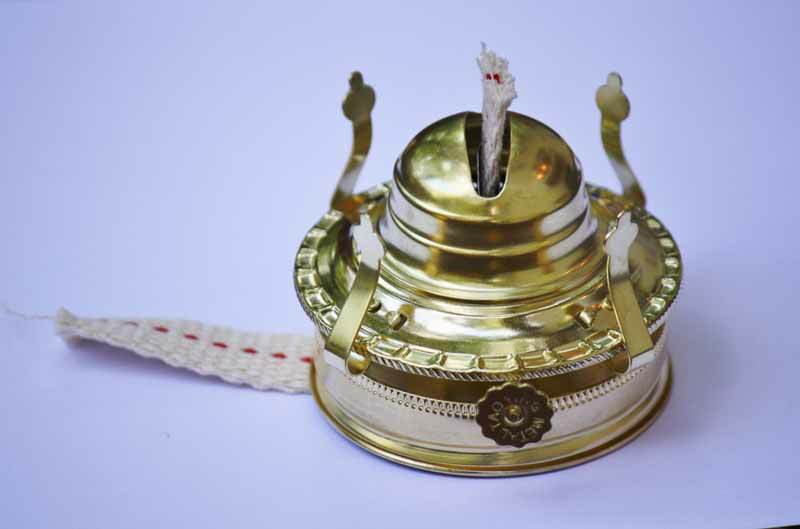 All oil lamp burners have a small air vent safety feature for equalizing oil tank air pressure. Keep this hole free from obstructions. The air vent varies among lamp burners. Most commonly burners have a tube that runs next to the flat wick tube. Others have a hole that vents into a screened area of the burner. Central draft lamps were vented using the spaces next to the wick riser. All of these vent holes must be kept clean. Make an effort to look at all the vent and airflow systems of your burners carefully. Regular wiping and dusting gets this job done. But on occasion a good cleaning in detergent will remove remaining dirt and oil residue. Soak in equal parts salt, flour and white vinegar for an hour or more and lightly scrub with a Brillo pad. Clean the oil lamp burner in hot, soapy water. (optional) Rub ketchup, tomato sauce or tomato paste onto the brass in a thin coat and let sit for at least an hour. 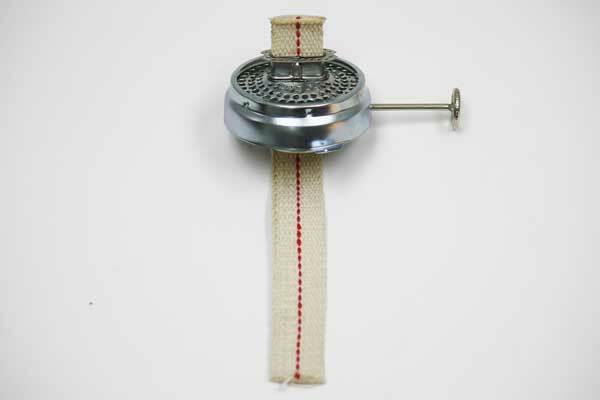 (optional) Try placing the burner in a sodium bisulfite solution for 24 hours to remove rust and dirt. Then lightly scrub burners with a Brillo pad. Use a blow dryer on the lowest setting to dry the inside of the tank. (optional) Use steel wool to buff the lamp. Brush brass with a metal polish before finishing in lacquer to repel dirt.